Guildford Dudley, son of John Dudley, Duke of Northumberland, married Lady Jane Grey, daughter of Henry Grey, Duke of Suffolk, and Frances Brandon. Leanda de Lisle says “The date is almost always given as the 21st but this is drawn from Commendone writing after the event. It was booked to take place on a Thursday (see Albert Feuillerat, Documents Relating to the Revels at Court, p306) and when I calculated the day from other known dates – e.g. Jane’s entry to the Tower – it confirmed my suspicion that it was the 25th.”, p328 in Notes of The Sisters Who Would be Queen, Leanda de Lisle, UK hardback. WOW…Lady Jane sister was 12 years old when she married? That’s so young, I wonder why females were married off so young. Queen Anne must have been concidered old when she married King Henry, if people were marrying that young. I watched the movie Lady Jane a few months ago for the first time, I’m somewhat confussed with her story. I may have this wrong but did her father try to start a war with Mary Tudor? And why would he do that knowing Mary would kill his daughter Jane because of him. If I understood correctly Mary was not going to have Jane beheaded until her father gathered the rebels. Such a sad ending for young Lady Jane. She was not aware of what these men was westing her up to do and never dreamer she and her husband would loose their life over it. I really wish a new movie would be made about her to go into more detail of the rise and fall of Lady Jane. 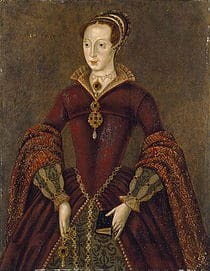 I also would love to see a movie of Mary I I feel that she has been so misunderstood in history but some people. It really had to be difficult to be taken away from your mother and never aloud to see her again and be cast out by her father because he loved another. Poor Child, she had a good reason to be bitter and dislike Queen Anne. (Typo Correction) “She was not aware of what these men was setting her up to do and never dreamer she and her husband would loose their life over it”. Thank you for your reply. I believe you misunderstood what I was saying about Mary. I meant she was misunderstood when it came to being bitter towards Queen Anne. I agree with you with she was going to take the throne because it was her to take. She was going to make all the people pay that was not Catholic she was a very evil Queen when it came to that. I think Jane didn’t know what was going on when she became Queen and she never thought she and her husband would loose their life. I think Jane and Dudley were cousins. Daughters were married young to cement agreements, pay off debts, increase holdings, and for many more reasons; seldom did a marriage take place for love which is one reason among many why Henry VIII’s marriage to Anne Boleyn created some controversy. Jane’s sister, Katherine, was married to cement the agreements by the nobility to place Jane on the throne; if for some reason Jane could not reign, Katherine was her backup. Katherine’s marriage was eventually annulled because her father-in-law did not permit the couple to consummate the marriage although the young couple apparently did have feelings for one another and wanted to be married. I don’t believe Jane’s parents were as awful as history has painted them but I do believe where there is smoke there is fire and they certainly used Jane to promote their own agenda for more power and wealth. When Jane’s father became involved in a second plot to place the crown on Jane’s head (without her knowledge since she was in the Tower by then) and was caught hiding in a hollow tree, Jane’s days were number regardless of the Queen’s intention to eventually free Jane and her husband. Mary knew this young couple had been used and did not want their blood on her hands; once Wyatt tried to usurp the crown for Jane a second time, Spain insisted on Jane’s execution and told Mary that Philip could not come to England to marry her as long as there was a possibility of another attempt to place Jane on the throne. Spain believed that as long as Jane lived there would be other attempts to topple Mary and put her on the throne so Jane had to die so that Mary could marry Philip. Although Mary signed their death warrants, she did so under pressure. Shortly after Jane’s execution, her father was also beheaded although Mary had pardoned him after the first time he tried to make Jane Queen; I guess he never knew when to stop. Except for one attempt to beg Mary for mercy on behalf of her daughter, Jane’s mother did not involve herself in trying to secure Jane’s pardon; she never wrote to Jane nor visited her in the Tower although it was probably because it was forbidden to do so. Once Mary was on the throne, Jane’s fate was sealed; I only wish somehow Jane could have been released to live the quiet life of a scholar she so wanted and prayed for all her life. Of all those buried in the Tower Chapel, to me, Jane is the saddest; executed so young for a crime she wanted no part of but powerless to stop. It is no wonder that while waiting for death she wrote she was happy to end her woeful days. Thank you so much for exposing that to me!!! Now I understand how it all went down. Her story and death is so sad when she was blind folded and couldn’t find the place to lay her head and she was panicing I was crying my eyes out. I just wanted to save her. Sadly there are still cultures in our world today that treat daughters as possessions to be bartered and there are fathers and brothers who will kill any female in their family if they think she has dishonored them. And it takes very little for them to think a woman has dishonored them. Yet these honor killings and female circumcision are not listed as crimes against humanity. In some cultures, women are still not educated nor allowed to work even if they are left widows with children to feed. It is easy to look at these women today and figure out what the women of Tudor England had to contend with; comparing the two, Tudor women probably had it a little better! At least they were usually only sent to nunneries when their families thought they had disgraced themselves. The vast majority of the world has moved on dramatically since Tudor times, but there are still places and cultures that maintain these draconian ways towards females. Shoshana,Your so right,3rd world as they too want sons to carry on the family name,and some places they will kill girl infants at birth,hard to believe but true.I’d take the vail versies, having my head removed from my body, or being brunt at the stake. True but lets not generalize the “3rd world”….. There are plenty of people in developing countries that do NOT condone the maltreatment of women and female children. And those who do treat females poorly there are families that do not believe in it….however, due to politics and/or tradition, they can not make a change. Sorry, I am not trying to be a Debbie Downer and the plight of women in developing countries is actually very close to my heart…but I have been around and the third wirld has fathers love their daughter and husbands that love thier wives too. Clair, is there a painting or drawing of Guildford Dudley?? There is the one at the Palace of Westminster – http://www.explore-parliament.net/nssMovies/03/0300/0300_.htm, which is inscribed with his name, but we now know that it was based on a portrait of an unknown man from the 1580s. Mary I was against a rock and a hard place when it came to Jane Grey. She didn’t want to execute her, yet Mary wanted to secure her throne and marry Philip. Plus, with Jane being a very devout Protestant, that certainly didn’t make things easier where the Spaniards were concerned. Read a good book about Jane, unfortunately, I can’t recall the title at the moment. I will post the book name and author if I find it later. Children were married young although they didn’t live together often for several years to make a strong alliance. A girl was considered old enough to formerly marry from the age of twelve as she was considered a woman at this age. However, it was encouraged that the couple didn’t sleep together until she was fourteen to enable her to develop properly. Young couples were raised together in the hope they would get used to each other and develop affection. When Lady Anne Mowbray was about five or six she married the second son of King Edward iv, Richard of Shrewsbury, Duke of York, who was a similar age. Unfortunately, Little Anne Mowbray died when she was eight, leaving her husband a child widower. It was common among the nobility and Royalty to marry in their teens. The youngest bride in this case was Katherine Grey whose marriage was soon annulled. Jane and Guildford were both around sixteen, a normal time to marry, but this was a political power play by Northumberland, who had no noble blood to forge an alliance between his house, as the Head of the Council and the woman he knew would be named as heiress to the dying King Edward vi. Yes, it was an arranged marriage, but neither party were forced as that would invalidate the marriage as consent was required from both parties. There is also evidence that a full marital relationship existed and they had some affection for each other. They didn’t fall in love as in the highly fictionalized film but Jane’s letters suggest that she got on reasonably well with her husband. Jane, however, refused to be ruled by her husband or her family, refusing to make him King, which resulted in a row and a sulk and by taking command once she was Queen, albeit for a mere 13 days. When she was a prisoner in one part of the Tower, he was in another, but they never met again although it is possible Jane saw Guildford as he took exercises in the grounds. We do know that she was visibly upset to see his headless body being taken for preparation for burial. After this marriage between Katherine Grey and Henry Lord Hastings was annulled in 1562 she married without the permission of the new Queen, Elizabeth I, Edward Seymour and the couple were put in the Tower. She had two sons and died a few years after her release and separation from her husband. This was a love match which Elizabeth annulled and although her sons held a true claim to the throne, their legitimacy was in question. The youngest sister, Mary also married for love a man of obscurity but she too was separated from him and he was imprisoned. Did Lady Jane Grey and Guildford Dudley have a female child….named Katherine Dudley?